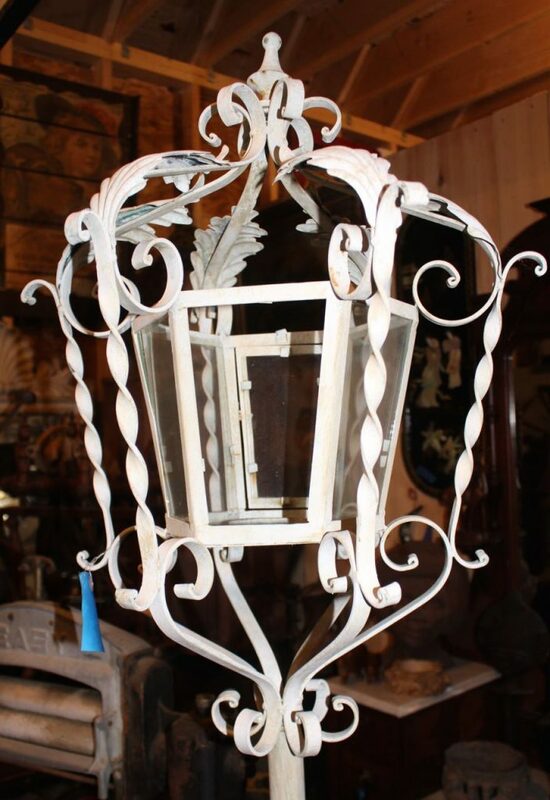 This is a beautiful forged iron floor lantern. This piece is made to hold a candle but it could certainly be electrified. This lamp is over 6 feet tall (we are only showing the top in our photo). As found condition with one missing piece of glass.